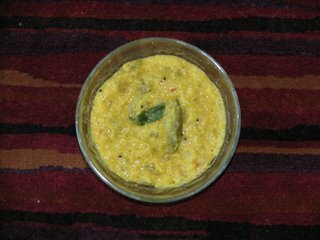 Cook moong dal in a pressure cooker for 1 whistle.Now, add chopped pudalangai,slit green chillies,chopped onion,salt, turmeric powder and pressure cook again for 1 whistle.Do the tadka and add that to the cooked dal mix. Looks mouthwatering, Maheshwari!! You already have 3 more recipes since I visited you!! :)) Got to visit you more often!! Thanks!! nice and simple. good recipe. YUMMY ! Just now I tied and I love the taste. Winter is on the way..